here today may be out of business tomorrow. Consequently, there are no guarantees that the ones below will still be in business when you read about them below. However, they're the ones that rose to the top during my research. And although the differences between some of them is seemingly minor their ease of use and functionality may be great. Enjoy the overview. Turnkey Flyers - Discover why TOP Producers prefer Turnkey Flyers! They're easy to use with point and click design functionality; can be used immediately upon purchase and offer unlimited use of 53 reusable templates. They're my Top Recommendation because of their outstanding value! Classified Flyer Ads are ideal for anybody wanting to create attractive online product flyers to increase exposure of their products and services. They rank as my Second Recommendation! REALflyer is another online service where you can design and fully customize professional real estate flyers and postcard templates. There is no special software to buy or download. Enter your text, upload your digital photos and you're ready to go. 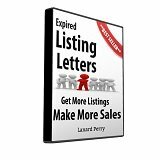 EmailFlyerAds will post a listing to 30+ real estate directories. Plus, you can easily and easily share your flyer on popular social networks like; Yahoo Real Estate, Backpage, Zillow, Trulia, Oodle, Craigslist, Facebook, Twitter and more. I refer to the Real Estate Flyer Software Programs below as my 2nd Tier of Real Estate Flyer software making programs. However, 2nd Tier doesn't mean second rate. In fact, the difference isn't about quality as much as it is about who the services are for. For example, the Top Tier programs described above can be used by real estate agents, sellers and investors, but the ones below are mostly for real estate agents. Enjoy! Snap Flyers (http://snapflyers.com) are touted as dead simple to use. If you have all your photos, logos and content ready each flyer takes only about 10 minutes to customize and print. See a one minute demo of someone actually using the software. SmartDraw (http://www.smartdraw.com) offers Quick-Start Real-Estate Flyer Templates. Simply choose from hundreds of flyer, brochure and other collateral templates and examples that best suit your business needs. 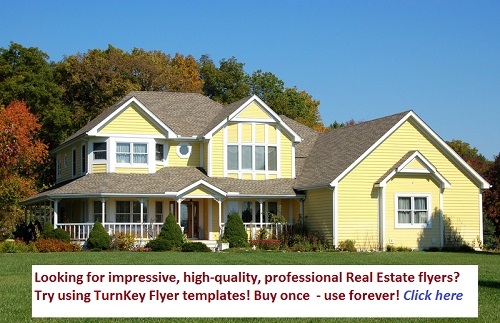 Realty Juggler's (http://www.realtyjuggler.com/flyersinfo) Realtor Flyers are editable PDF forms. Download them to your computer and open them using Adobe's free Adobe Reader software. You can print your flyers on your own printer, email them, etc. Flyer Maker Pro (http://www.flyermakerpro.com) features FSBO Listing Flyers, Realtor Listing Flyers,Rental Flyers,Time Share Flyers and Personal Advertising Flyers. 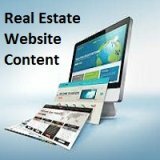 They offer a heck of a lot of features for a little bit of money, including single property websites. 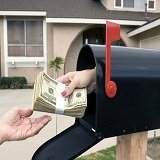 My Listing Flyers (http://www.mylistingflyers.com/free-real-estate-listing-flyers/) has a rather narrow selection of flyers to choose from. That's the negative. The big plus though is that it promotes a Forever Free Membership to use them. That makes them worth checking out. eCampaignPro (http://www.ecampaignpros.com/) offers a rather unique service. Specifically, it will enable you to promote your listings, or inform them of job openings you may have. Plus, their software is optimized for Social Media Marketing.